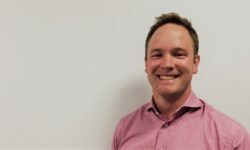 Cameron Ades is an economist with twelve years’ experience working in both the private professional services and government sector in both Australia and the United Kingdom. He offers his clients a unique combination of technical skills in economics and land use modelling used in tandem to provide insightful infrastructure advice. He specialises in producing quality infrastructure business cases, many of them highly politically sensitive and time critical. Cameron’s other areas of expertise include land use economic analysis and policy, project economic impact analysis, industry development advice, resource sector industry and freight project analysis. He is also a highly experience GIS operator, which he uses to enhance spatial modelling processes and to graphically communicate output to clients.